contrasts and diversity. In terms of the reviews and music put forward: I have had a couple of U.S. acts at different stages- and from different states- who are poles apart: a young, energetic Pop queens and more introspective Folk star. Today, I have looked at Chris Selman’s response to the Orlando shootings (Solidarity): a song written in the aftermath of the tragedy; a song that looks at togetherness, equal rights, and answers. From there, it is to London-based- wasn’t too long before I was back in the city- artist, Ruben. 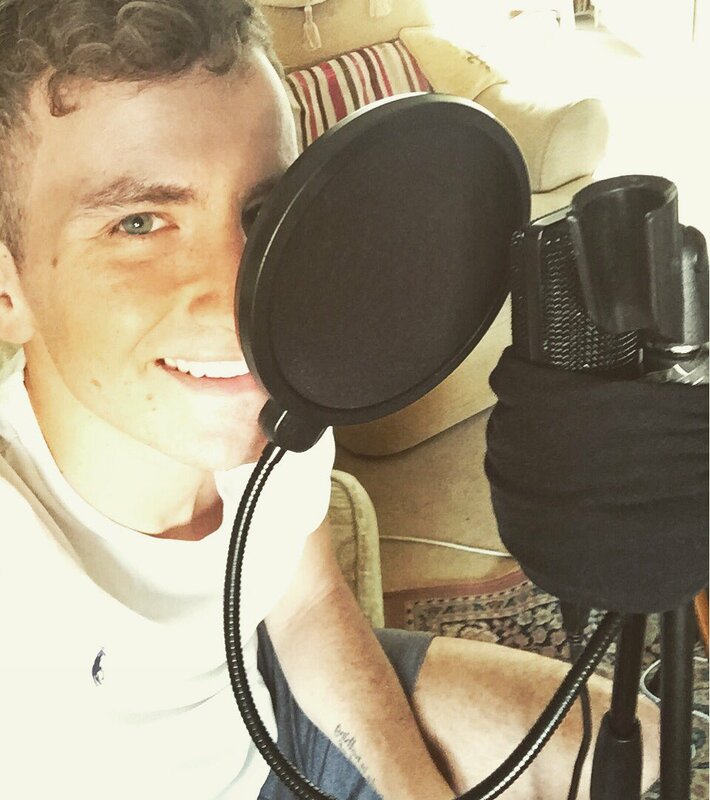 It is rare I get a chance to assess an artist making their very first steps: someone who is just breaking through and laying down their debut single. Before I come to him; it is worth looking at that side of things- embarking on music and planning your path- in addition to the themes we employ in music; finishing off with a bit about young artists coming through this year. Back in London territory- another musician taking the city by storm- it gives me a chance to look at the capital in a wider sense. London is a city that continues to amaze and startle me: not just as a music lover; as a human being in general. What I find (with London) is the consistency and variety of genres out there to the public. Other areas/cities are stagnant and limited by comparison. London seems to be on the precipice of a new wave: artists that are balking against the boring and mundane. I respect music that digs deep and trades on common emotions- songs that dig deep and urge the listener to take time and reflect. After a while, you need something a little energised and joyous- whilst not ignoring the importance of sensitivity, depth, and emotion. Across all the genres music has to offer: Electro.-Pop offer so much scope, potential and malleability. My featured artist is someone who understands the potential of the form: how many shades, shapes and elements you can throw into the music; without dampening the lyrics or cheapening the mood. London is particularly impressive when it comes to Electro.-Pop surge. SKYES is a three-piece who has supported the likes of Bleachers and Kodaline. Having been championed by (some of this country’s) most prestigious and ear-to-the-ground magazines- they are a group hitting their stride. “Ruben has been playing his new material throughout London since January 2016. He has played at venues such as Cafe1001 in Bricklane, Trinity Bar in Harrow and WedgeIssue in Farrington. 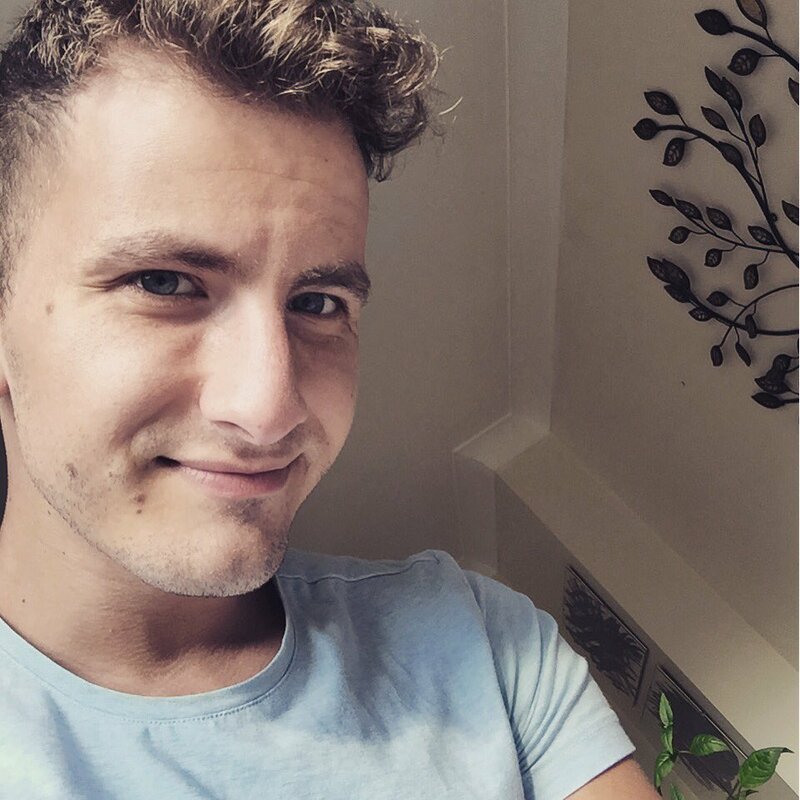 Ruben has a degree in Film Production, having directed short films before he started making music. It is this film approach that he brings to his music as he aims to create work that sounds epic in size and emotive in spirit”. The young, London-based musician is taking his first steps in music; Only the Young is the single that will announce his presence. The film/production background goes into the song. It is widescreen and sky-scraping but is disciplined. Scenic, vivid and imaginative: plenty of texture and nuance that will make it sit with lovers of all genres. The infectious delivery and bold personality will win hearts; the lyrics dig deep and address something serious. On the surface, you may think you have Ruben’s music all figured out. A complicated and thoughtful young man that cannot be written-off or predicted: Only the Young is a song that draws you with its energy and spirit; it keeps you invested with its intelligence, strong, and wise shoulders. Making the decision to go into music comes with a lot of balance and thought. It is a risky game that demands undivided commitment and dedication. Imbued with risk and challenges: it is not a sure-thing; regardless of your talent and fervency. So many young artists make a debut single that has too many cooks in the kitchen. Countless producers and writers in the mix; crowded sounds and differing ideals- you lose that personality and unique vision. I see a lot of musician lead by committee and moulded by others. Of course, having bodies around you- especially from the first days- ensures some comfort and support; those that can direct you and help your career. I have respect for those who show fortitude and bravery: write their own music and go out alone; take that gamble and show heart. Ruben is someone who does not suffer stumble or any uncertainties. You can tell he means business and is determined to succeed and remain: that confidence and foresight is to be commended. If you are new to Ruben, you might be looking for some background and context. In terms of artists who influence him: Pet Shop Boys, Depeche Mode and Hurts are all counted. The cinematic, lustrous sound of Lana Del Rey is a vital component; the instancy and rawness of Dua Lipa; the ‘80s heyday of Duran Duran- a combination of artists and sounds are vital to Ruben’s music. If you have a love of any of the aforementioned- I am especially keen to Lana Del Rey and John Grant- then you will find some recommendable elements. To be fair (to Ruben) he is very much his own musician. He takes hints of other artists into his songs- little drops here and there- to enhance and flavor the music. When you dig deep, you can hear such originality and unique flair. A confident and brash artist who has plenty of sensitivity and perception under the surface. 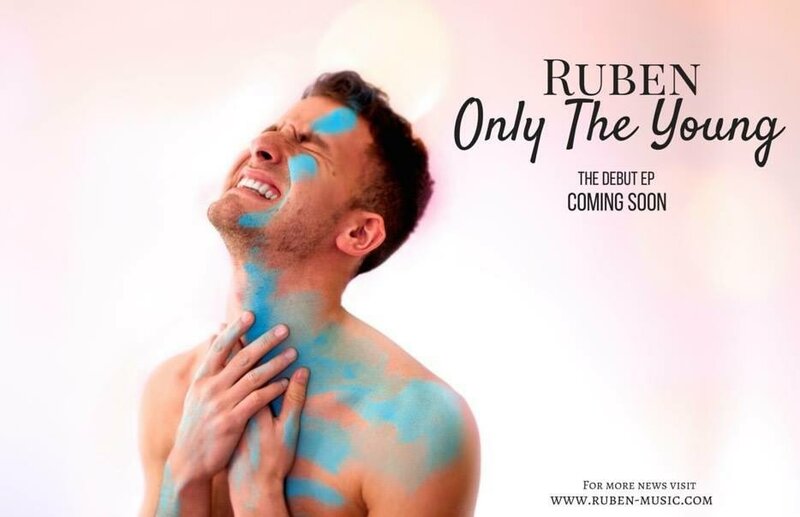 Only the Young is the debut single release: other Ruben songs are available on YouTube- such as Rogue. It was written by Ruben in the face of being single: how he deals with it and addresses the situation he finds himself in; trying not be weighed down by heartache. The song is not available on SoundCloud- I managed to hear it via Twitter- but provides a glimmer into Ruben’s new movements. I am not sure whether that song will appear on the Only the Young E.P. ; perhaps it is a between-releases cut to wet the appetites. The best assessment and judgement one can make is with the current single. After listening to Only the Young (single) I can tell just how exciting the current sounds are. You can hear the detail and work-rate in the music. 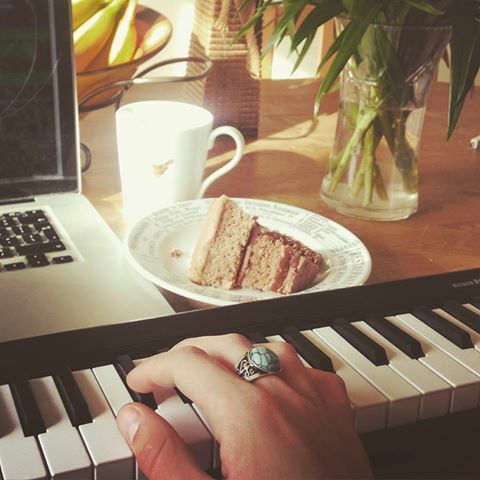 Starting life at the piano- at his London home; it always starts with the keys- the components are layered on; the song gets heavier, fiery and more intense. It would not be an exaggeration to say Ruben has many more years ahead. His unwavering commitment to music is deeply impressive: someone who would not want to do anything else in life- that love and passion comes through in (his extraordinary) music. In the next couple of days, we will get a chance to hear Only the Young- some of us have been lucky to get a sneaky peek already! Starting its life with high-note, intricate piano- the definition of delicate, fairy-like and glass-like- the hero soon comes to the microphone. Swooping his vocal in- a precise projection that gives it a stuttering, Rap-like presentation- we investigate mistakes and remorse early on. “We’re coming out” is a mantra that is inserted between tense lines and feelings of regret. “Eat the cake/will they rejoice/when we can barely make a choice?” is a sentiment that seems appropriate given political results in the last couple of days. The powerlessness and submission- whether fighting against the generations or the way life is unfolding- that is causing fears and doubts deep down. The way Ruben chooses his words- mixing the oblique and obvious beautifully- there is enough mystery held back. Influenced by a general dissatisfaction and learning from mistakes: Only the Young asks some important questions and looks out at the world. Trying to get a handle on things- the true meanings and origins of the words; how our author feels- is a difficult task. You get drawn into the vocals which summon up a majesty and command- yet have enough impuissance deep down. Modern youth is being led astray- “Only the young can live that way”- and being taken down a dangerous road, perhaps. You might look at purely social-political possibilities. Maybe addressing the state of the nation- how choices and decisions are being taken out our hands; control slipping away- or something more general- you never get the impression our hero is going to be defeated. He is looking around and seeing his contemporaries struggle; perhaps things are not quite that bad. Innocence and youth come and go. We hold onto them like prized possessions: unwilling to pass that stage and lose a grip. At some point, you have to let go and accept life will change; for better or worse. Making mistakes- accepting he has gone wrong at times- he is not dwelling on past days. Those mistakes are part of who you are: you need to learn and grow; the way you deal with dejection shapes the rest of your life. Many of us get haunted by errors and can never get rid of them. In reality, everyone will mess up and feel powerless; think they have lost control of life- we have to take control ourselves and shape the future. Written before the E.U. vote: the lyrics and ideas seem as very appropriate and well-timed. I said this when reviewing Chris Selman’s single- unity and coming together is desperately desired- and Ruben has seen into the future. We (the young) who are going to live today; making the same mistakes. I know Ruben uses his past regrets as a way to mature and evolve as a man. Perhaps there is a certain naivety when you are young: you feel you are always right and unwilling to bend to sensibility and rationale. Realising you are more than the sum of your mistakes is the only way we can evolve and move on. Inside this sagacious and mature head is someone who is still very young. That vibrancy and energy is defined in the composition: something that consistently bustling, pulsating and interesting- without impacting on the vocal too much; becoming too forceful. In a short space of time, a lot of ground has been covered. The composition has altered direction and changed shape; the lyrics throw a lot of interesting ideas up- that voice keeps strong and indefatigable in the presence of harsh realisations. “Take your place with Joan of Arc/seeing colours in the dark” are lines not many of us would be able to conjure. Not your average Pop star- whose army of writers could not craft lines like that- you instantly dream and imagine. Joan of Arc- spoiler: history lesson approaching- was The Maid of Orléans. She commanded the French army against the English during the Hundred Years’ War. The heroine of the Lancastrian phase of the war: she was eventually captured and burned at the stake (handed over to the English) in 1431. At 19-years-old she was in the history book: claims against her were debunked and she was made a martyr. I could go into details about her rise, campaigns, and back-story- that will wait for another day- but she is not often made the subject of songs (Joan of Arc by Leonard Cohen and Big Mouth Strikes Again by The Smiths are the only examples I can conjure). Maybe a sense of optimism and noble purpose- Ruben might have been thinking when writing those lines- it is a wonderful diversion and adds weight and history into the song. Already; social, political and historical ideas have been used in a song about youth and hard education: embracing where you go wrong and making sure it is a positive experience. If you think you have the song figured out- exactly what it is trying to say- there are right-angles and fascinating avenues. Joan of Arc felt the fire more than most- quite literally- but made her mark on history. Even in such a short life: Joan of Arc is one of history’s most prominent figures; an inspirational figure that has endured for centuries. It is impossible not to be captivated by the lyrics: the ever-growing composition brings beats in hard; it starts to tighten and become more impactful. Your body starts to engage with that shift as your head wraps itself around the imaginative, discerning words. The chorus becomes more imperial and regal the second time around- gaining more headwind and addictive; you find yourself singing along to it. Many artists might put too much pace and energy into the chorus- thus, forcing it onto the listener. Ruben paces it beautifully to sure you get some regret and emotion inside the effusiveness- he never cheapens the mood. New verse and new insight. Decadence is reigning and youth is being stained- you wonder just what this refers to. Perhaps referring to shallow possessions and the zeal for wealth and material goods: another delivery that gets the mind racing and wondering. We live in a time where prosperity and austerity are fighting side-by-side. The young are culpable of chasing shiny objects and not connecting with people on a human level. Perhaps that was not in Ruben’s mind; thus the song’s strengths are unveiled: a track that allows free license and open consideration. In a general sense- Ruben has described the song looks at different generations co-existing on different levels- it fits with what we already know. Each lyric casts fresh perspectives and possibilities. Few songs go that deep and can compel the listener like that. Artists often sing stereotypes verses and predictable poetry: neglecting the importance of the words; how valuable they are to the song. Towards the end; we get the chorus cycled and at the forefront: the song’s definitions and core are up top and have the final say. The percussion continues to work and campaign- a lot of bass comes through in the song; a kick and hum is audible- whilst Ruben still tries to make sense of it all. Only the Young can be taken in two different ways. To those who want something fun, frivolous and instant: they can bond with the track and get lost in its memorable chorus and ebullience. It is highly likely stations will recognise the song’s potential right from the off. After the first time, you know a stunning Electro.-Pop song has been crafted. It ticks all the necessary boxes and appeals to all the senses. Adaptable enough to feature in clubs and bars; commercial radio and the niche stations of London- it can be the king of anywhere it pleases. That is no small part down to the presentation, performance, and production. Confident, authoritative vocals and a simple (if highly catchy) composition get straight into the brain. Production values mix polish and rawness. Things are never too shiny and plastic; never too loose and sparse: the perfect blend to ensure Only the Young is as perfect as it can be. Those who shrug and bridle- looking at the song on paper- might scoff at the promise of depth and complexity. The judgmental and stuffy will always write-off certain songs and styles. If you listen carefully, there are some fascinating lines and thoughts. The idea of mistakes- youth will keep making the same ones over again- can be taken two ways. We all- of a certain age- will screw up and go wrong: we can learn from that and turn us into better people. On the other hand, there is the sense our generation is being led astray and deceived: forced to make these errors; perhaps unavoidable. Throw in the likes of Joan of Arc and some personal insights: a track that has many colours and themes. It is a fascinating thing that will need a lot of plays and study- just so you can get to the heart of the matter. Only the Young will have its video released soon (currently in pre-production) and will form part of a four-track E.P. (called Only the Young). It is Ruben’s first official release- although not his only recording- and will definitely put him in the minds of many new listeners. An eager and multi-talented musician that has incredible talent and determination. Only the Young will be one of the tracks from the forthcoming E.P. 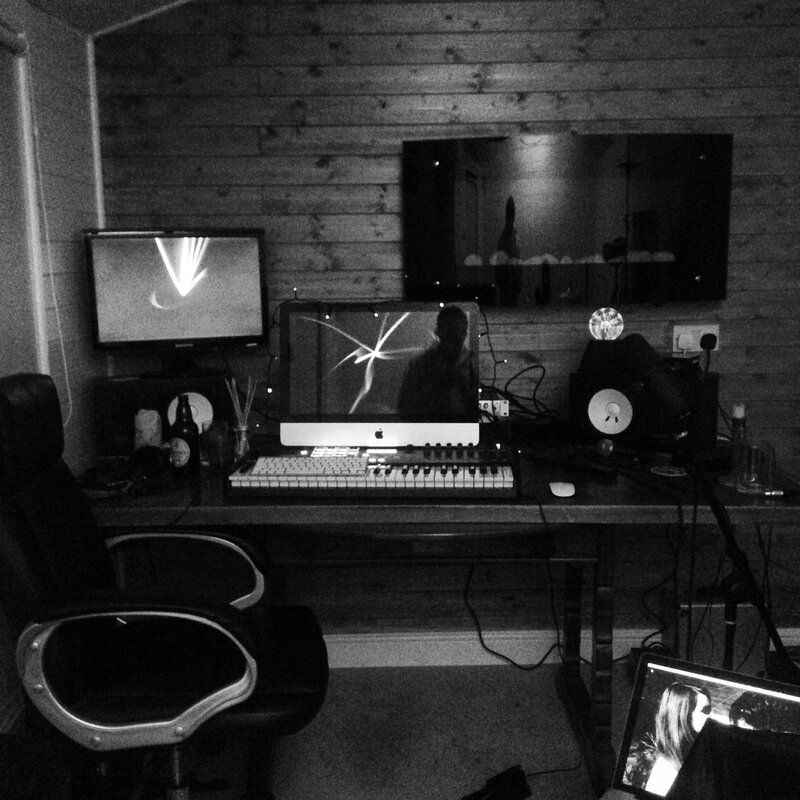 On social media- Twitter especially- you can see updates of the recording process. Whether watching his music mixed- James mixing the vocals- or in the recording booth: an artist that is dedicating his time and energies into his passion. 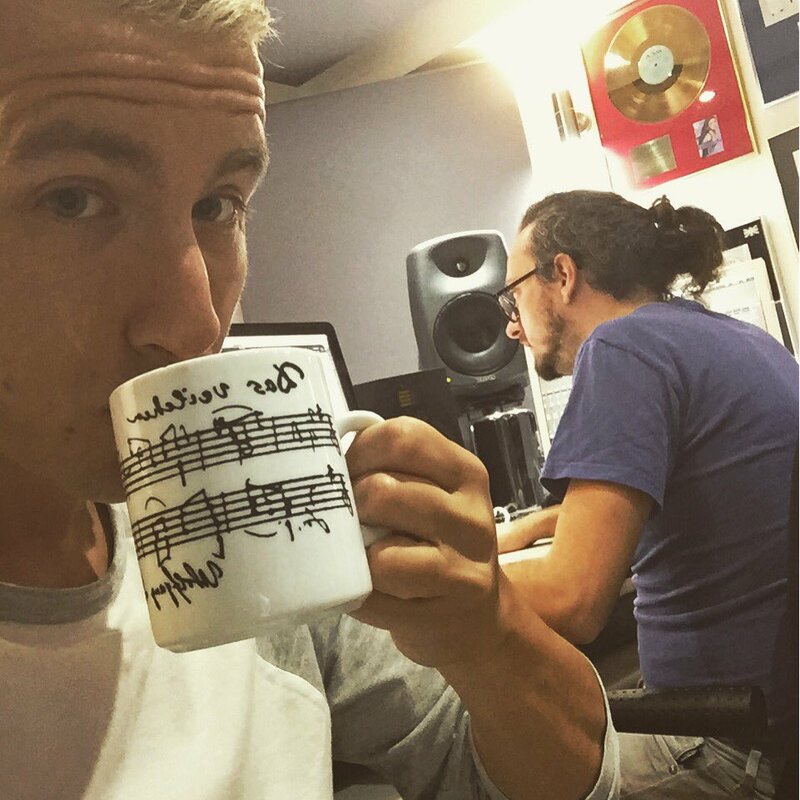 Some 8-hour days and endless sessions would deter the steeliest of musicians- not the case with Ruben. He would not have it any other way, it seems. Only the Young addresses fleeting innocence and how youth can be lost; embracing mistakes and acknowledging they’re a natural part of life. Remorse and difference- different generations have their own way of living- are all addressed. I cannot wait to hear the E.P. as it seems like a lot of sweat and hard work have been put in. It will be out later this year but you can keep a track via Facebook and Twitter. Ruben has that balance of going alone and having some loyal people around you. The creations and songs are his- in terms of their creation and direction- but he has a great team around him. Never letting his identity and music be led astray: they help mix the sound; lend assistance and advice. Only the Young- the name of the forthcoming E.P.- will be one of the hottest new releases from the year. The fan numbers are starting to increase and eyes are cast in his direction. There is something charmingly eccentric about Ruben- in the best possible way- and he will always stand out from the crowd. Perhaps a male equivalent of Ke$ha- that same spirited personality and direct music- or however you see him; you cannot deny what a pull he has. A lot of young Pop artists are accused of being too shallow and cliché- never transcending their lyrics/songs beyond the bare-minimum; always sticking to the same themes and ideas. Ruben’s music has a universality and drama to it- layers of synths. and electronics create a soundscape- but his words come from the soul. Not just concerned about love and break-ups- the staple of most artists- there are wider concerns and deeper issues. Youth and inter-generational differences; owning your mistakes and learning from the past- all subjects we can learn from and be inspired by. A lot if happening fast for Ruben. Setting his website up and getting the E.P. announced: lining up gigs and planning his agenda. The past has seen some high adventures and painful moments: happy times in L.A. and its tranquility; breaking up with his boyfriend and moving on- a well-lived life that goes into his music. The bliss and glitz of L.A. can be heard in the single, Only the Young. I would not be surprised were he to have demand there. I often urge American acts to come to London and give us the live experience: perhaps an exchange programme would be in order? Ruben is someone who could fill a lot of L.A. clubs and venues; get his music played across the city- enjoy a nice mini-tour there.